Gangnam is the busiest district in South Korea. Filled with skyscrapers in which small and large business offices are nestled, the district is visited by hundreds and thousands of businesspeople, students, and visitors everyday. For the sleep-deprived Gangnam people, a special cafe offers an urban oasis. 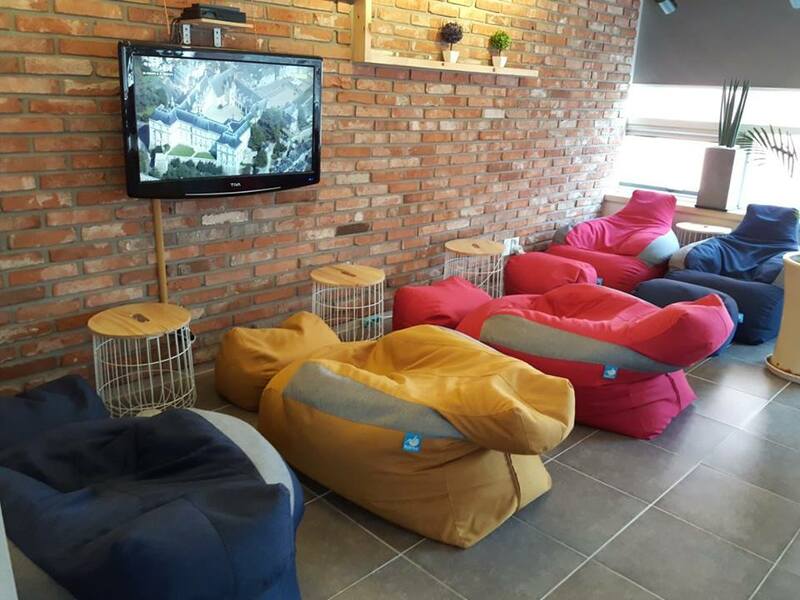 Shim Story, located near Gangnam subway station, is a cafe specially designed for those who need brief naptime. The nap cafe is divided by four themes – Conversation, Rest, Dream, and Massage. In each space, visitors can enjoy different types of downtime they need, whether it be a cup of coffee, a massage chair, or a powernap. The place was already busy when visited in the early afternoon. 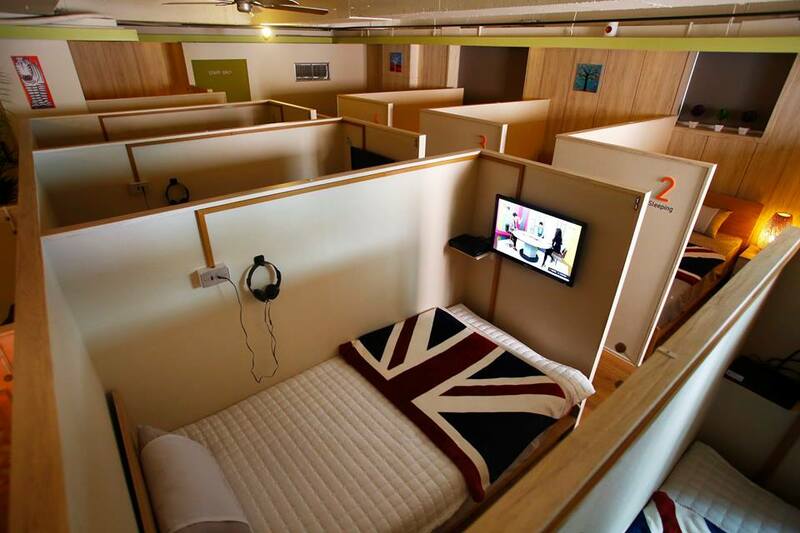 Individual sleeping rooms, which cost 7,000 KRW for the first hour and additional 2,000 KRW for additional 30 minutes, were already occupied by businesspeople who came for brief naptime during their lunch breaks. Those who failed to take a room sat on beanbags or massage chairs instead. According to Job Korea’s survey conducted in May, the average sleep time of businesspeople in Korea barely goes over six hours. Although one needs enough hours of restorative sleep to be about to function properly, many of the Korean office workers are caught in endless loops of sleeplessness. It may be hard for a nap cafe to be as comfortable as home. However, it can be a great alternative for people looking for a place to reboot in the hard-pressed city.